It’s time to kick off the 2018-2019 Dance Season! Below is our class schedule which starts August 7th. Classes detailed below are listed by day of week, class time and color of studio room. All schedules are subject to change according to enrollment. 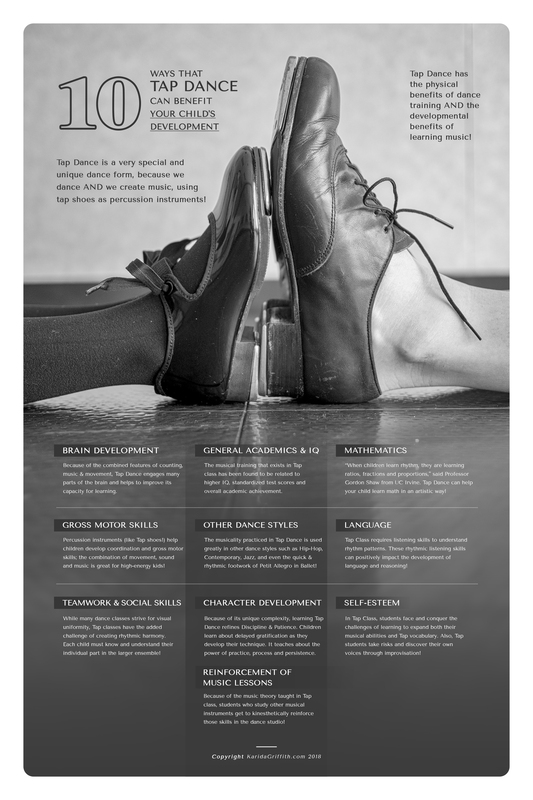 Tap Dance has the physical benefits of dance training AND developmental benefits of learning music – and we have the proof here! Click below to view this infographic on tap and how it can help YOUR child grow in so many ways!